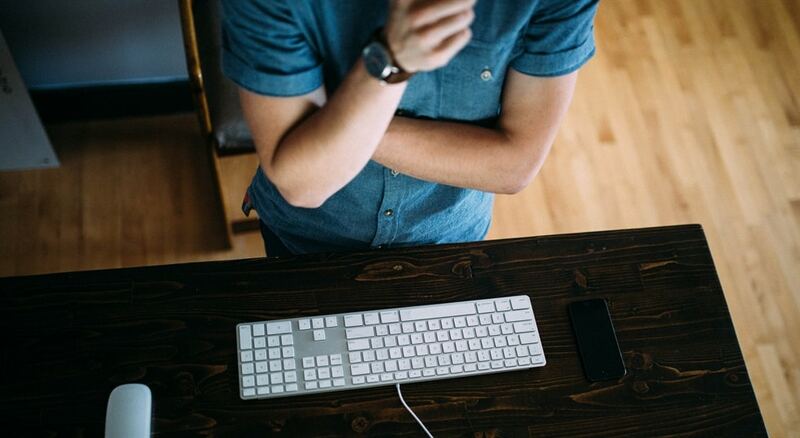 Is boring website copy killing your sales? Take a quick look at your home page text. Does it use the words “we” or “our” more than once? Does it talk all about your company and what you do? Does it say how you pride yourself in your excellent service? If so, you’re making the greatest copywriting mistake ever – you’re making your website all about yourself and you’re failing to give your reader what they really want. Because here’s the truth – your website visitors don’t give a damn about who you are and what you pride yourself in. They’re busy, they’re looking for something in a hurry – and they want one thing only – a solution to a problem or need. If you don’t give it to them in the first 10 seconds of landing on your page, they’re gone. So here’s how you do it. Begin by reworking your home page copy to eliminate all “we” and “our” stuff. Just nix it. I know, this can be a bit frightening … I mean, what are you going to say if you can’t talk about yourself? Well, let me help you. Then you put these two together in a heading and subheading, and you write some short explanatory text that gives more detail. This combination of headlines and short text is called the value proposition. A value proposition is a statement of how your product or service will benefit your customer. OK, let’s see how this works in practice. Read the home page examples below and tell me which company you would buy from. See the difference? I’m hoping you chose the second example, because it’s the one that’s focused on the reader and gives them an immediate solution plus benefits. 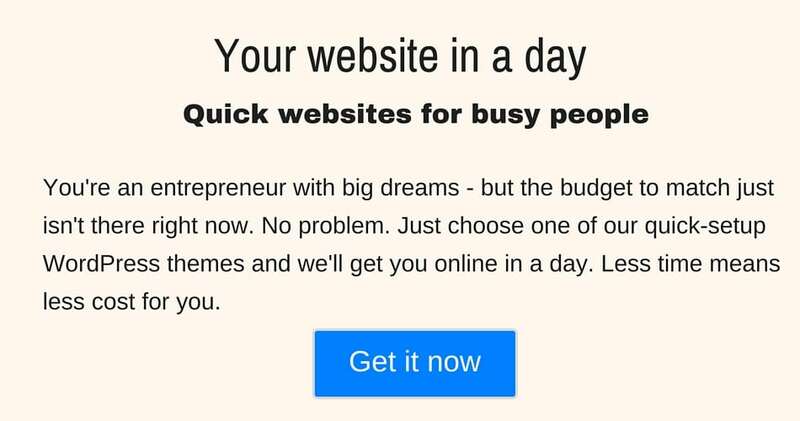 Just look at the headline and subhead again – they give the product (a website) and the main benefit (quick, so you don’t waste time and money). The text also gives a clear call to action, the “Get it now” button. 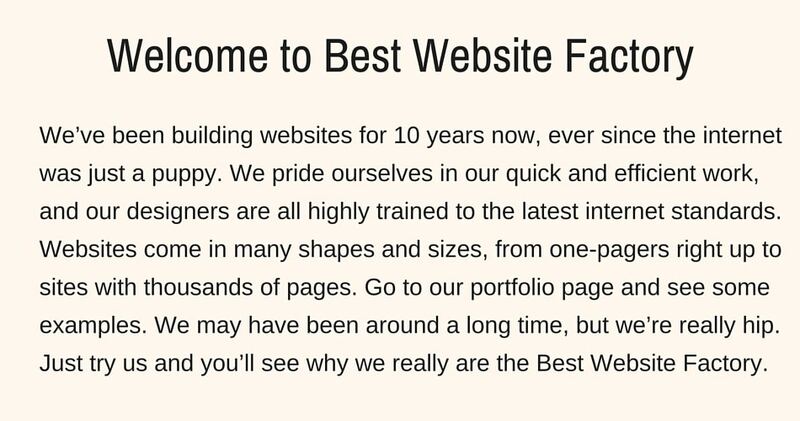 Can you see that the headline in the first example “Welcome to Best Website Factory” is a total waste of time? Here are some screenshots of well-known companies showing good examples of value propositions placed centre stage. See if you can identify the product and the benefit. Sometimes the benefit is implied rather than stated explicitly, but it’s there. 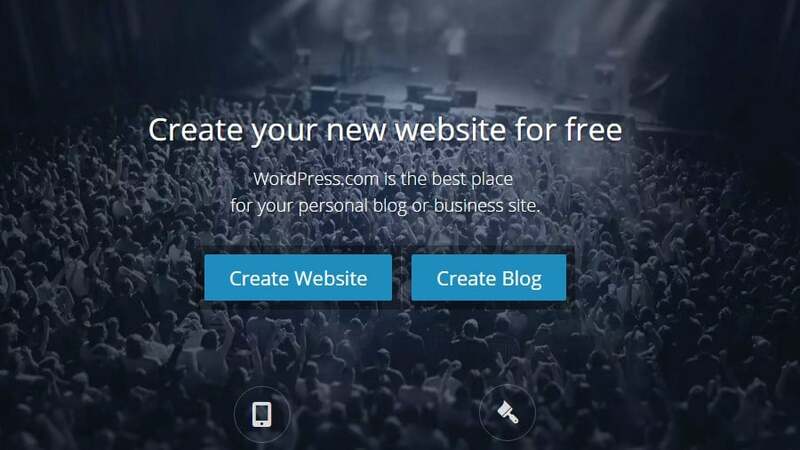 The home page for WordPress clearly states the product (your website) and the benefit (it’s free). It also has clear call-to-action buttons. The home page makes an immediate promise with a benefit – you can make your own book cover, and it’s really quick. This layout also gives room for some short explanatory text below the headline. They use the word “We” but the focus is still on the prospective customer and what they are going to get. 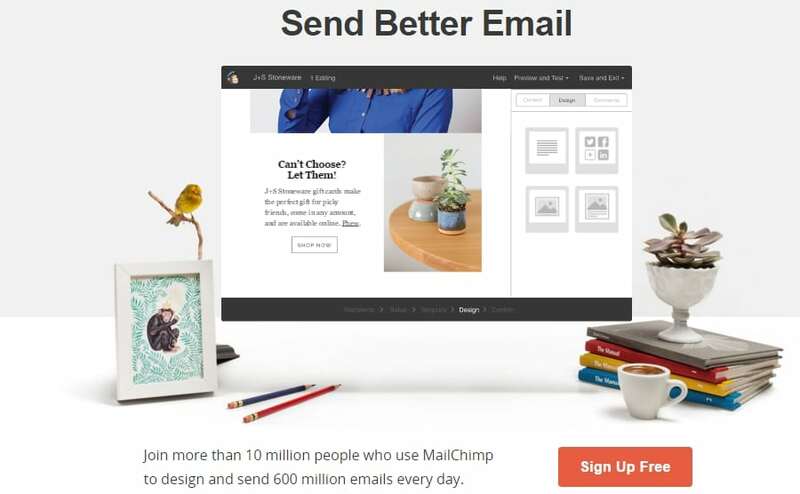 The home page for Mailchimp, a bulk email service, has a very simple and clear value proposition – Send better email. It makes a promise of a benefit (better email) and has a clear call-to-action button. The benefit in the headline “Welcome Home” is implied – it creates the impression you are going to feel at home. This makes an immediate emotional impact and triggers a “yes” response from the reader. Writing home page copy that sells is a science and an art. Try it now and see if you can ditch all that boring “we” and “our” text and communicate some powerful benefits to the reader. If you need any help with this, we are more than willing to jump in and help. In fact, I’d like to make you an offer – I’ll do a free, no-obligation review of your home page and give you tips and directions on improving it. Just send me a request using the button below. Sliders and video backgrounds should be banned from the internet! Website created with WebRabbit magic!